As one of the biggest cities in New York State, Rochester has a diverse economy and a skilled workforce. From the construction sites along Henrietta Road to the bustling interstates that connect the city with Buffalo, Syracuse and the Southern Tier, Rochester hums along. Where there is industry, though, there is often hardship. At Brown Chiari, we understand that good people sometimes suffer injuries and grievances for which they are not responsible, including horrible instances of nursing home neglect and abuse. 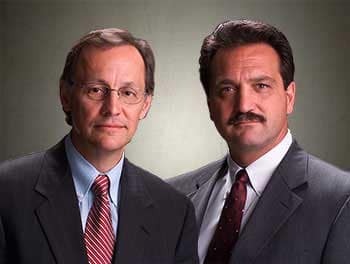 Our seasoned legal team represents Rochester residents who make nursing home neglect and abuse claims. We pledge to work tirelessly to uphold the rights of those who can no longer fight for themselves. The Rochester area is home to several nursing homes and elder care facilities. While most staff members who work for these organizations are attentive and caring, nursing home abuse and neglect can occur at any time. If you or a loved one has suffered injury, abuse or neglect-related harm during a stay at a local nursing home, you may be entitled to substantial compensation. Unfortunately, Monroe County and surrounding communities have a long, sad history of nursing home abuse. In 2009, a major scandal rocked a local nursing home and resulted in the arrests of two former employees for several incidents of physical and psychological abuse. In 2014, 10 employees of another nursing home were found to be practicing systematic neglect of some of the home’s neediest patients. In addition, our seasoned team of legal experts is investigating a number of potential claims, including the alleged sexual abuse of current nursing home and senior citizen apartment complex residents. As one of the biggest Rochester Nursing Home Abuse Lawyers, you can consult with an experienced legal professional about potential nursing home neglect and abuse claims, please call our local office at 585.955.9000 or complete our no-obligation online contact form. We look forward to assessing your case.